May 29, 2014 in Book Reviews. 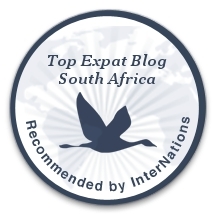 February 10, 2014 in Johannesburg, My Travelogue, South Africa. January 21, 2014 in Moving to South Africa. December 13, 2013 in South Africa. December 10, 2013 in Johannesburg, Just Musings, Moving to South Africa, South Africa.